NEWS / НОВОСТИ 2015-2016 - Сайт la-terra-blanca! 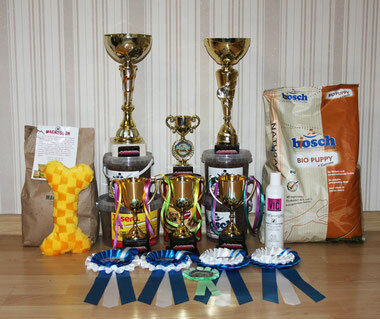 LA TERRA BLANCA BOHEMIA FLEUR - VP, Best baby, BIS Baby-1!!! Thank you very much handler Elena Voiko!!! LA TERRA BLANCA ARCTIC ICE (SIMBA)- CAC, BOB, BIG-3!!! New Belarus Grand Champion!!! 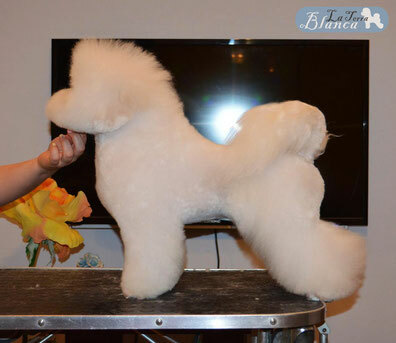 LA TERRA BLANCA ARCTIC ICE (SIMBA), 20 months – CAC, CACIB!!! 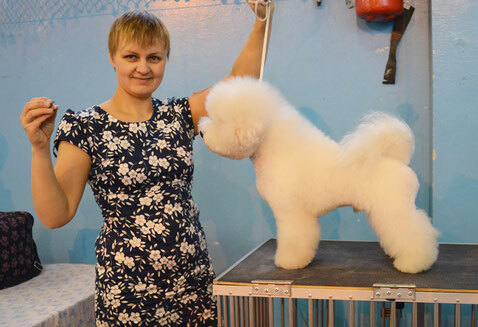 Thank you groomer Zhanna Purga. 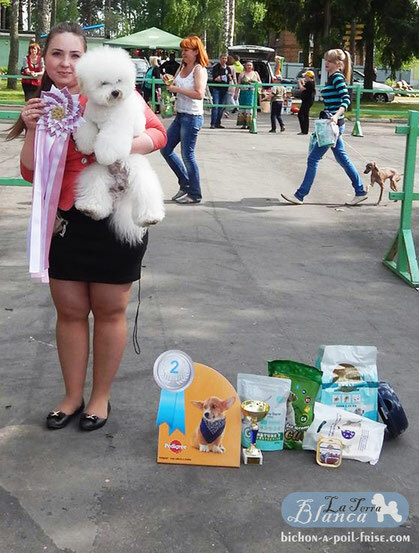 LA TERRA BLANCA BEETHOVEN SNOWBALL -VP, Best baby!!! 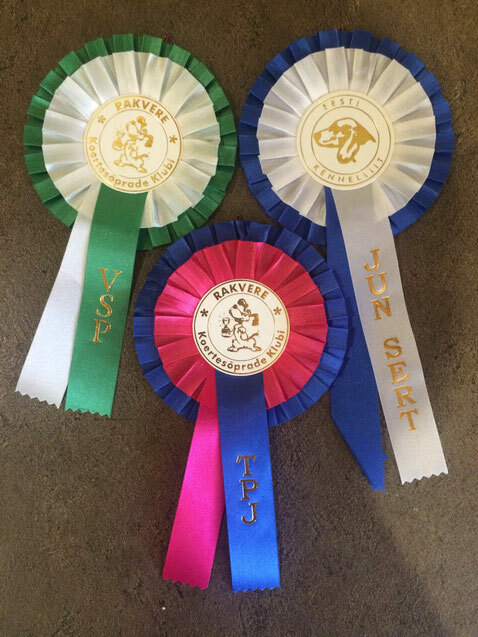 LA TERRA BLANCA BRING LUCK - VP, Best baby, BIS Baby-6!!! 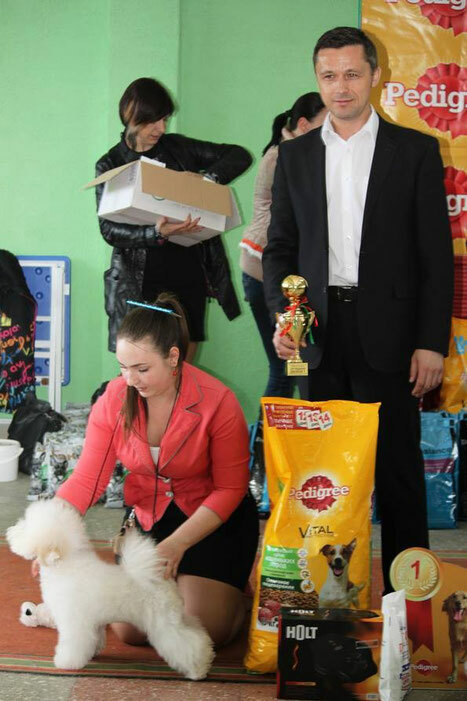 LA TERRA BLANKA AMOUR - 3хCAC, res-CACIB and New Lithuania Champion!!! 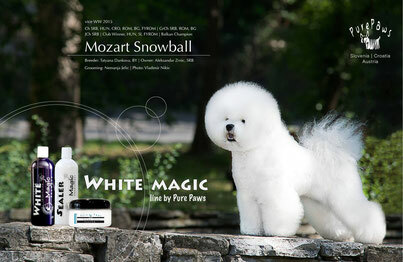 MOZART SNOWBALL - CLUB WINNER, BOB, BIS-2!!! LA TERRA BLANCA BRING LUCK - VP, Best baby! BIS baby-5!!! 23.04.2016, Belarus, Polotsk, Republican exhibition companions and toys. LA TERRA BLANCA ARCTIC ICE (SIMBA)- CAC, BOB, BIS-2!!! 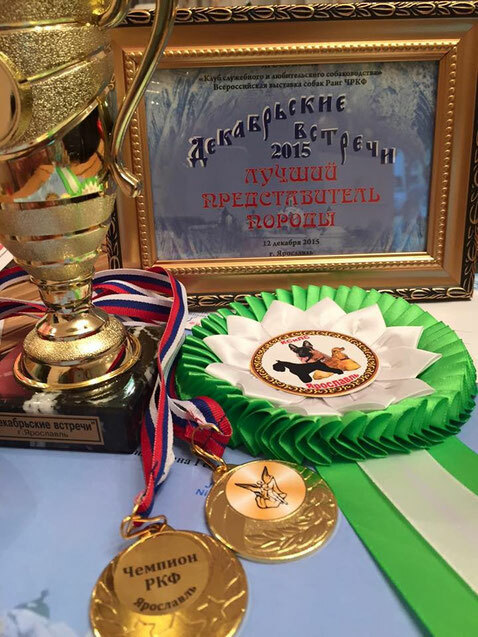 Belarus Breed Champion!!! LA TERRA BLANCA BOHEMIA FLEUR -VP, Best baby! BIS baby-2!!! LA TERRA BLANCA BRING LUCK - VP, Best baby! 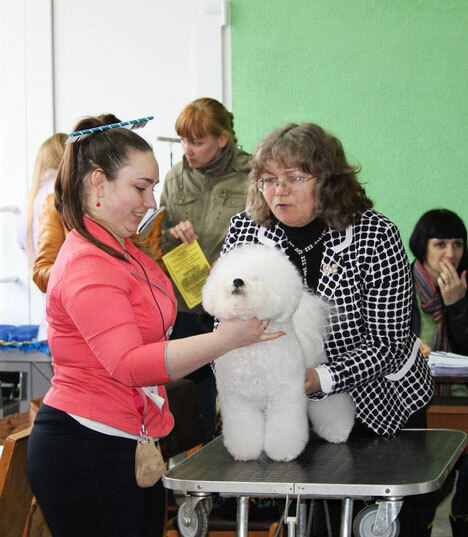 17.04.2015, Belarus, Minsk, Republican exhibition companions and toys, 2 our small males was in their 1st dog show. 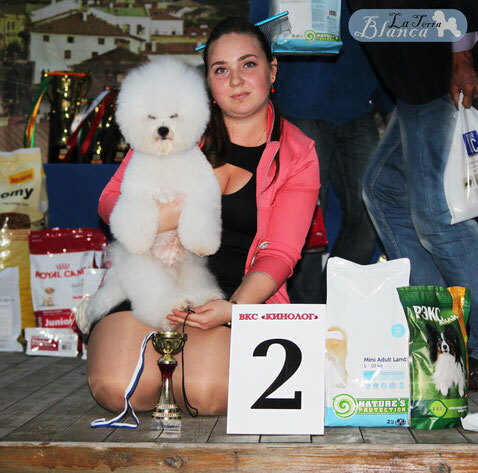 LA TERRA BLANCA BEETHOVEN SNOWBALL- VP, Best baby! LA TERRA BLANCA ARCTIC ICE (SIMBA)– JCAC, JBOB, BOB, BIG-2, J-BIS!!! LA TERRA BLANCA ARCTIC ICE (SIMBA)– CAC, BOB, BIG-2!!! New Champion of Russian!!! 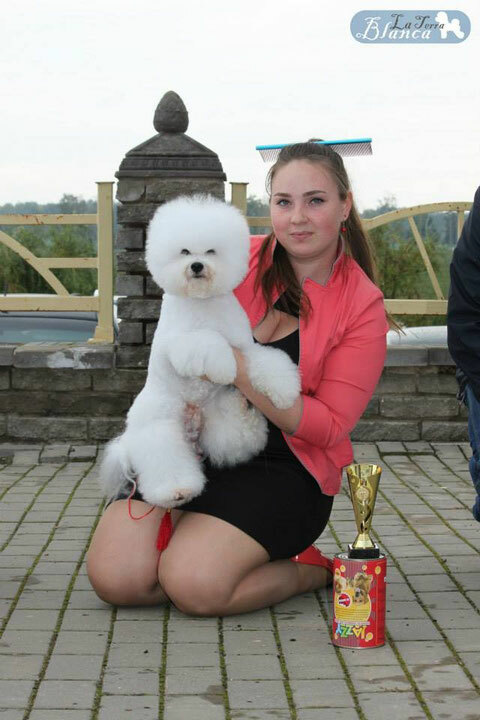 LA TERRA BLANCA BELARUSSIAN PRINCESS- VP, Best baby!!! 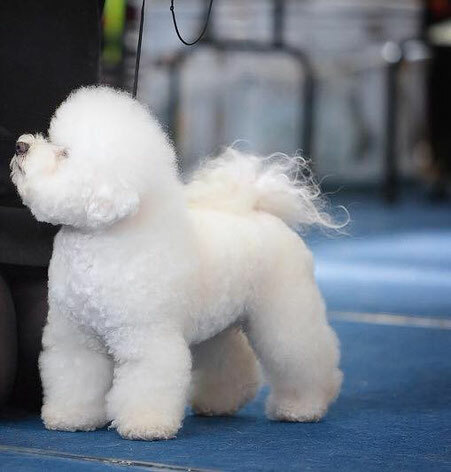 Little girl - LA TERRA BLANCA BELLISIMA MACHA - VP, Best baby!!! LA TERRA BLANKA AMOUR - CAC, CACIB, BOB!!! 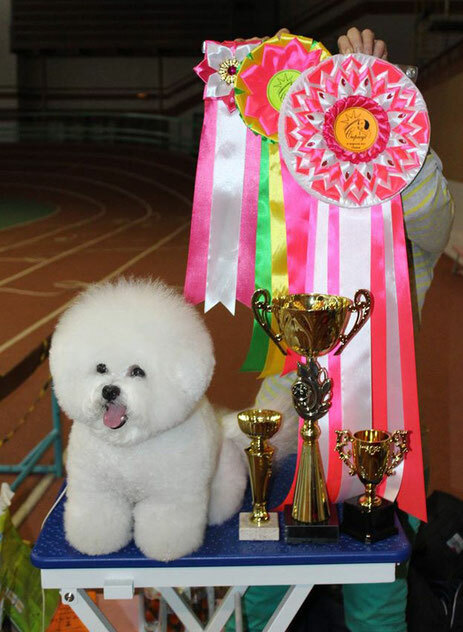 LA TERRA BLANKA AMOUR - 2хCAC and New Russian Champion and RKF Champion!!! LA TERRA BLANCA ARCTIC ICE (SIMBA)- JCAC, BOB, JBIS-1, BIS-1!!! LA TERRA BLANCA ARCTIC ICE (SIMBA)- JCAC, BOB, BIG-1!!! 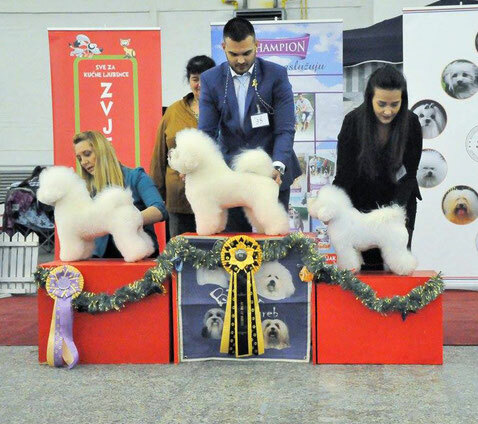 LA TERRA BLANKA AMOUR - 2хJCAC and New Junior Slovenia!!! 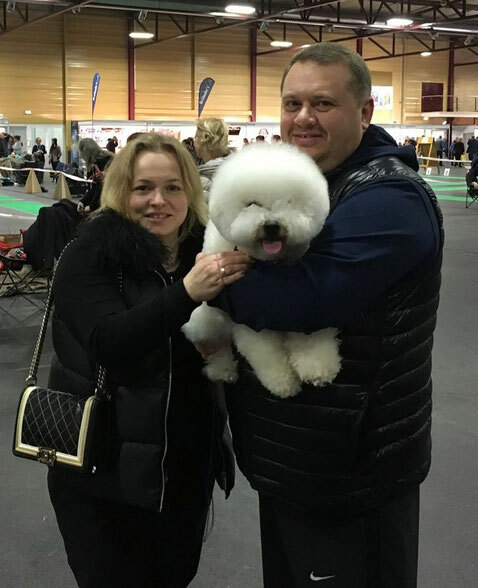 20.12.2015, Lithuania, Vilnus, International Dog Show "VILNUS CRISTMAS CUP"
LA TERRA BLANKA AMOUR - JCAC, BOB, JBIS-2 , BIG-3 and New Junior Champion of Lithuania!!! 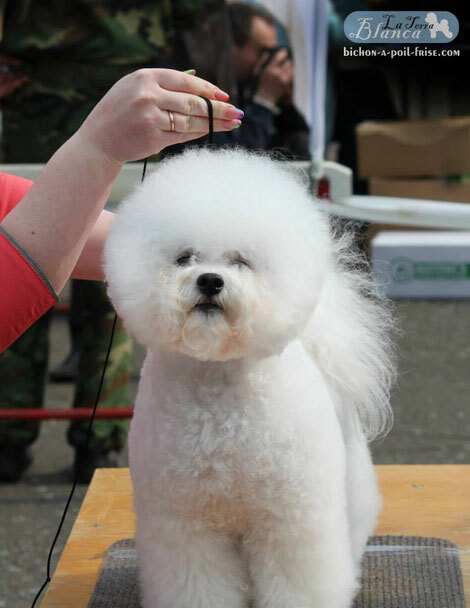 MOZART SNOWBALL - CAC, Club Winner, BOB and Best in Show !!!! 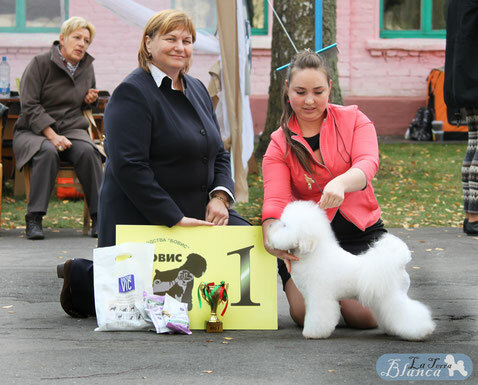 14-15.11.2015, Latvia, Riga, International Dog Show "Riga's Winner 2015"
LA TERRA BLANCA AMOUR- JCAC and new Latvia Junior Сhampion!!! 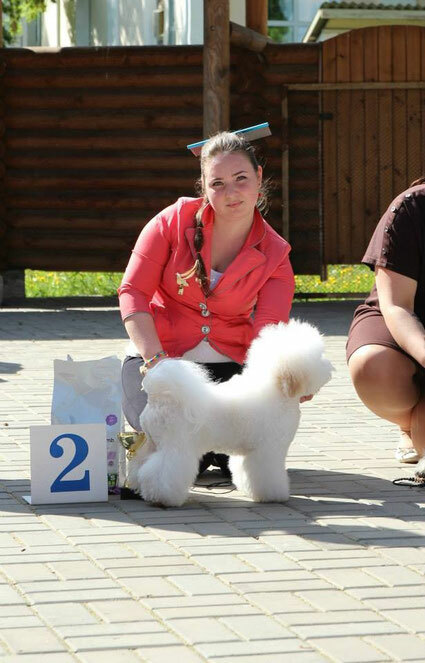 LA TERRA BLANCA ARCTIC ICE (SIMBA) only 12 months- JCAC, JBOB, BOS and new Estonia Junior Сhampion, Baltic Junior Сhampion!!! LA TERRA BLANCA ARCTIC ICE (SIMBA)- JCAC, JBOB, BOB, BIG-3!!! LA TERRA BLANCA ARCTIC ICE (SIMBA)- JCAC, JBOB, BOB, JBIS-3, BIG-1 !!! MANDY FLORENCE - CAC, CACIB, BOB!!! 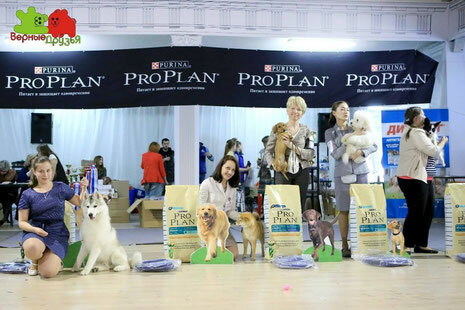 I congratulate owner Tatyana Frolova! 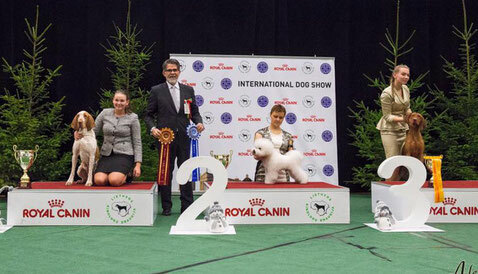 MANDY FLORENCE - New International Champion!!! 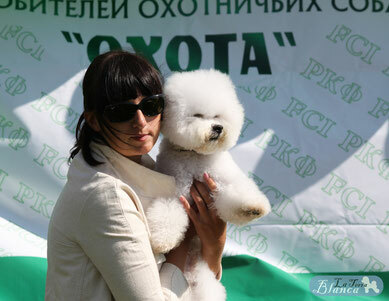 26.09.2015, Belarus, Vitebsk, Republican Dog Show "Vitebsk autumn"
LA TERRA BLANCA ARCTIC ICE (SIMBA)- JCAC, JBOB, BOB, BIG-2 !!! 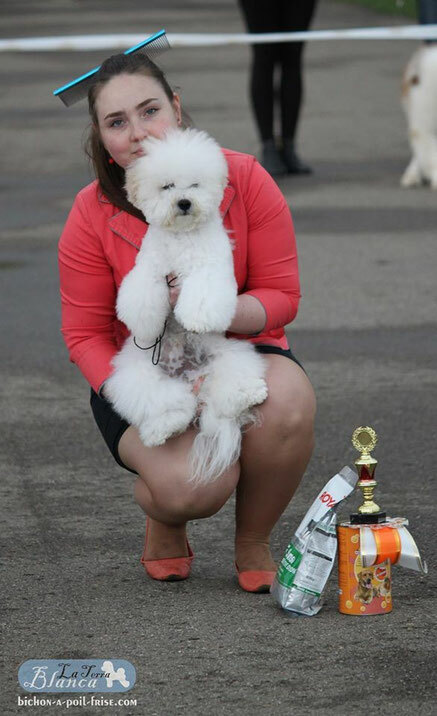 Thank handler – Elena Voiko! LA TERRA BLANCA ARCTIC ICE (SIMBA)- JCAC, JBOB, BOB, BIG-3 !!! 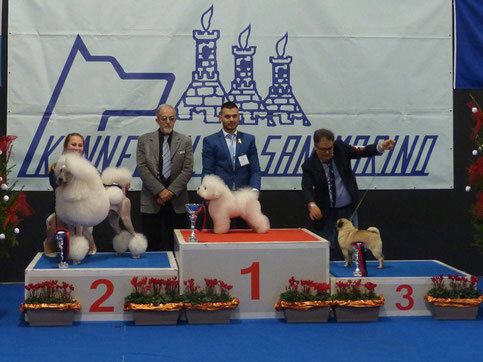 LA TERRA BLANCA ARCTIC ICE (SIMBA) JCAC, BOB and New Junior Champion of Latvia!!! MANDY FLORENCE - CAC, CACIB, BOS!!! 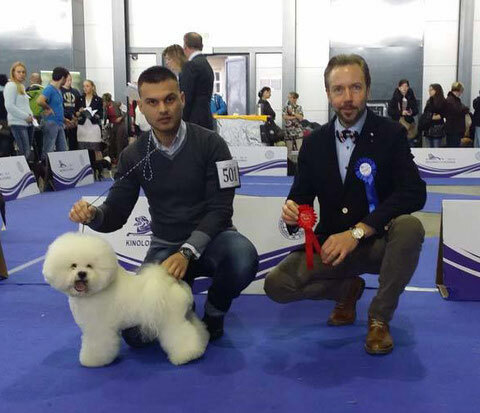 LA TERRA BLANCA ARCTIC ICE (SIMBA), 10 months – JCAC, JBOB, BOB!!! New Junior Champion of Lithuania!!! 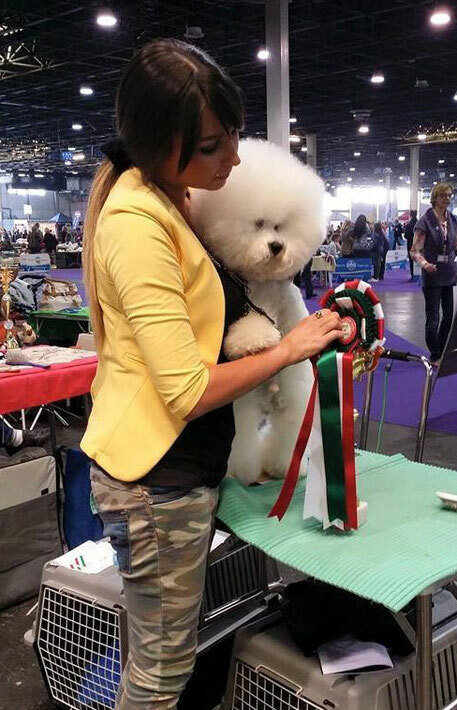 LA TERRA BLANCA ARCTIC ICE (SIMBA), 10 months – JCAC, JBOB!!! 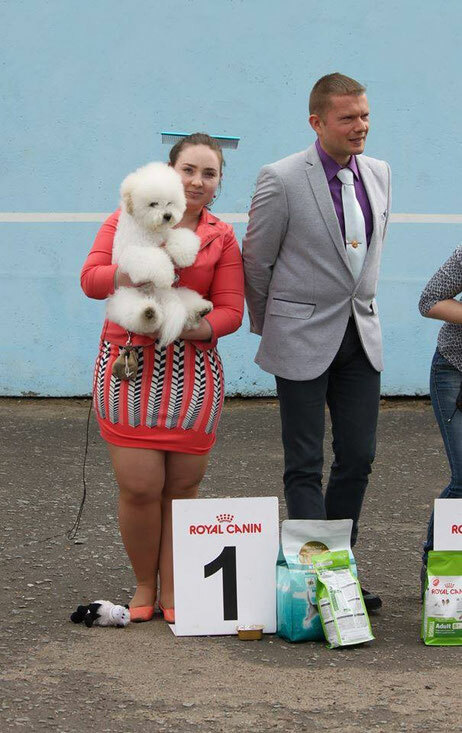 New Junior Champion of Russian!!! 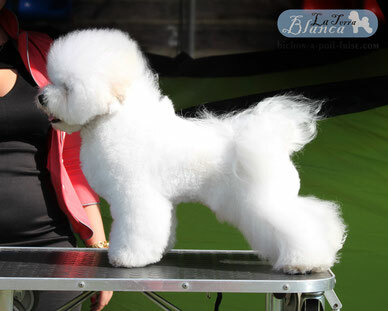 LA TERRA BLANCA ARCTIC ICE (SIMBA), only 10 months – JCAC, JBOB, BOB, BIG-1, JBIS-3!!! LA TERRA BLANCA ARCTIC ICE (SIMBA) – JCAC, JBOB!!! 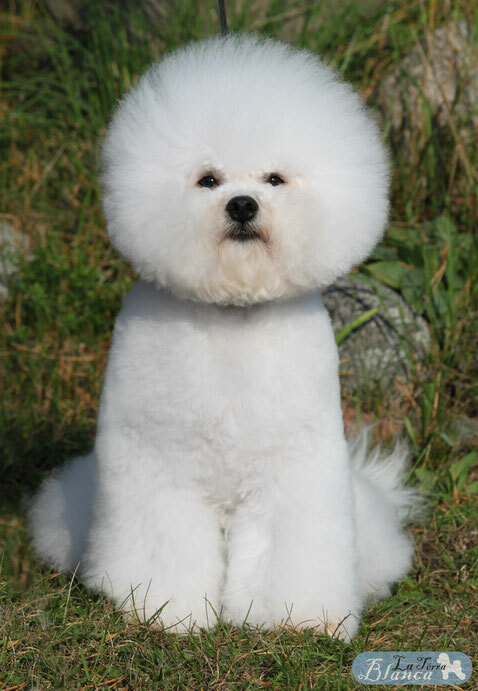 Thanks handler and groomer Helen Voiko! 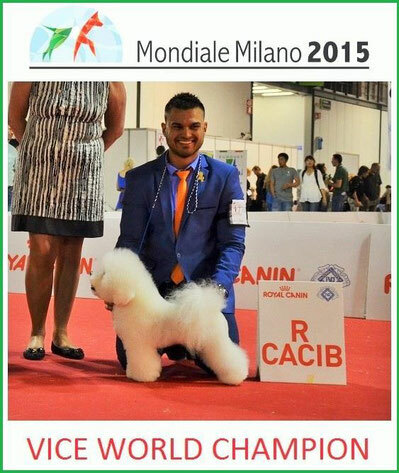 MOZART SNOWBALL -CAC, R-CACIB, Vice World Winner and new champion of Italy!!! 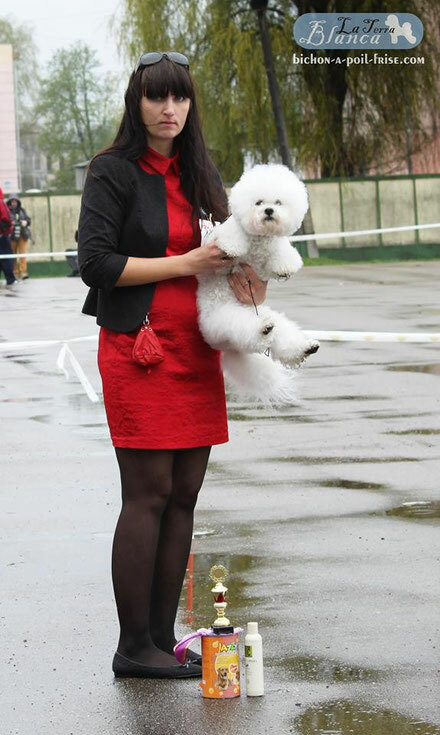 20.06.2015, Belarus, Mogilev, Regional Dog Show of all breeds х 2. LA TERRA BLANCA ARCTIC ICE (SIMBA), VP, Best pappy, BIS PAPPY-3!!! LA TERRA BLANCA ARCTIC ICE (SIMBA), VP, Best pappy, BIS PAPPY-4!!! LA TERRA BLANCA ARCTIC ICE (SIMBA), VP, Best pappy, rez-BISS-PAPPY!!! LA TERRA BLANCA ARCTIC ICE (SIMBA), VP, Best pappy, BIS PAPPY-2!!! MANDY FLORENCE - CAC, CACIB!!! 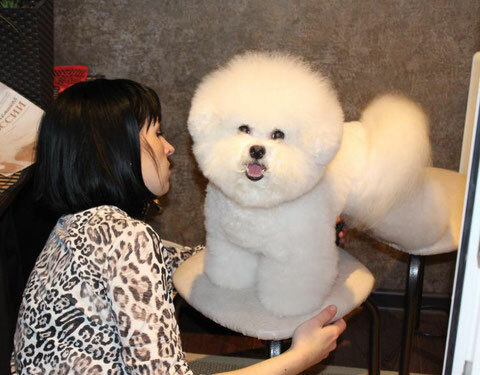 Regional Dog Show of all breeds. 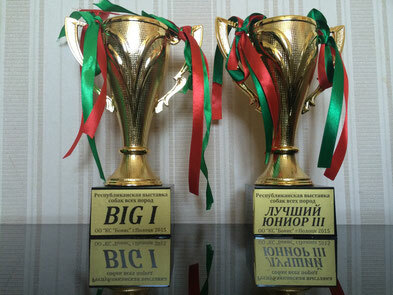 ROYAL CURAZ GARMONIA HILLARI CAC, ВОВ, BIG-1, BIS-4! 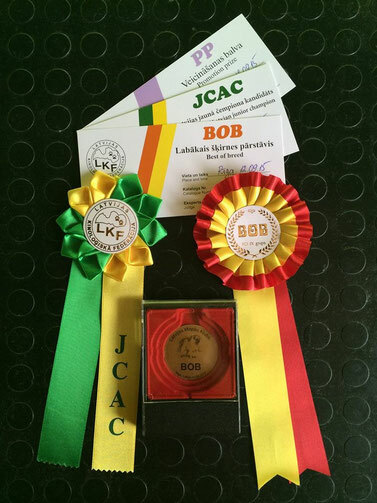 Club show - CAC, Club Winner and club BOB! MANDY FLORENCE - CAC, BOS, BOB, BIG-1, BIS-2!!! CAC, BOS, BOB, BIG-1, BIS-2!!! LA TERRA BLANCA ARCTIC ICE (SIMBA), VP, Best pappy, BIS-PAPPY!!! 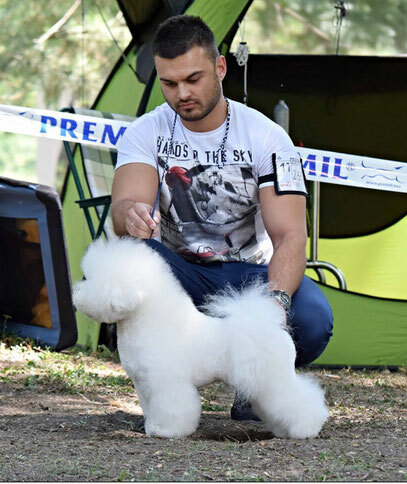 ROYAL CURAZ GARMONIA HILLARI CAC, ВОВ, BIG-4! 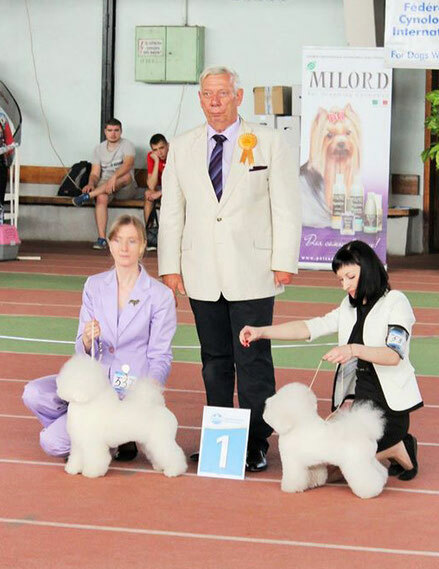 26.04.2015, Russia, Moskow, "Lider & Prestig"
LA TERRA BLANCA AMOUR - very promising, best puppy, BIS puppy - 4! LA TERRA BLANCA ARCTIC ICE (SIMBA), VP, Best pappy, BISS-PAPPY!!! LA TERRA BLANCA ARCTIC ICE (SIMBA), VP, Best pappy rez-BISS-PAPPY!!! ROYAL CURAZ GARMONIA HILLARI CAC, ВОВ, rez.-BISS!!! 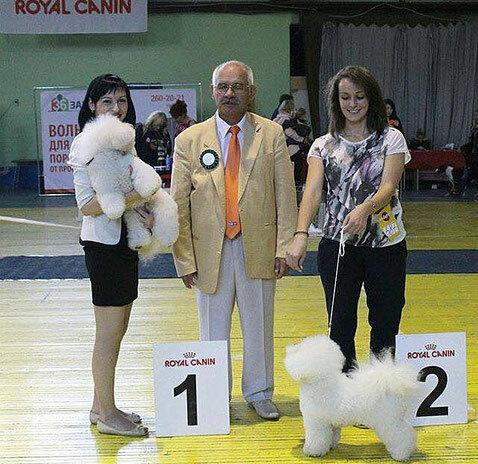 ROYAL CURAZ GARMONIA HILLARY CAC, ВОВ, BIG-2!